Those penguins’ fossils were measured to be around 5.8 feet tall which is almost close to a human’s height. The ages of the fossils are suspected to be 55 to 59 million years ago and that was quite after the dinosaur’s extinction proving the penguins’ enormous increase in numbers. Ornithologist Mayr has stated that the stature of the flightless penguins became large since they stopped the aerodynamics skills. Emperor penguin is the tallest and heftiest of all penguins. It reaches tall to the height of 110 cm to 130 cm. 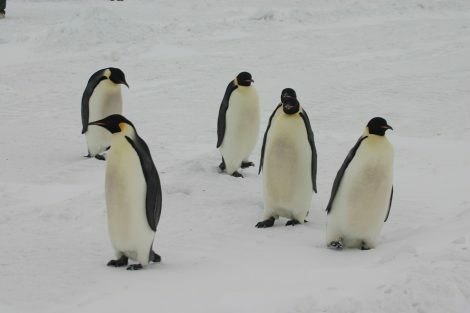 Emperor penguins are the habitat of Antarctic. 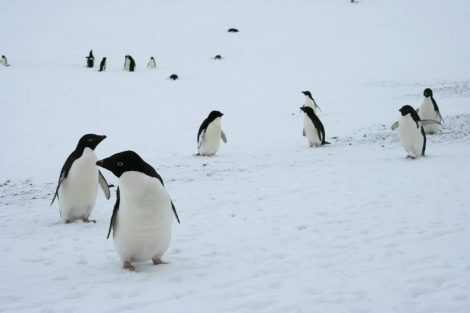 Emperor penguin, Adelie, and Gentoo penguin live in the coldest temperature when compared to other penguin species. King penguin is one of the largest species of penguins after Emperor penguin. It measures around 70 to 100 cm tall. They are found in South Atlantic, Crozet Island, Kerguelen Islands, Edward Islands, Heard Island, McDonald Islands, and Macquarie Island. Humboldt penguin is a medium-sized penguin grows tall to the height of 70 cm. It is endemic to South America and also called as Peruvian penguin. 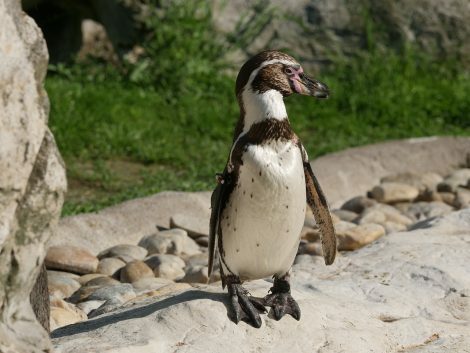 African adult penguin grows to 60- 70 cm tall. It is found in the South African waters. They can be seen swimming in the bays along with humans. African penguins are fearless of humans. 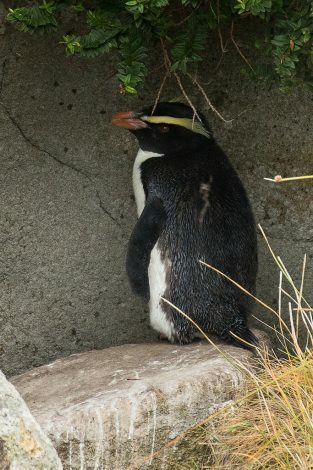 An adult Macaroni penguin reaches the height of 70 cm. It is the habitat of Sub Antarctic to Antarctic Peninsula. Gentoo penguins are the habitat of Antarctic. 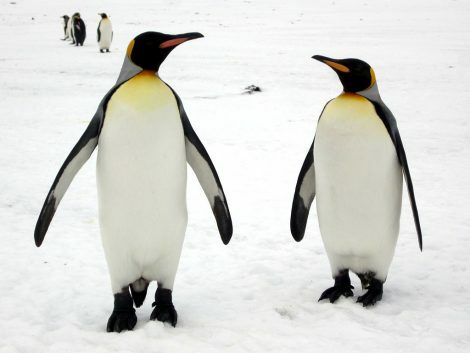 They reached the length of 90 cm and said as third largest penguin species after emperor and king penguin. 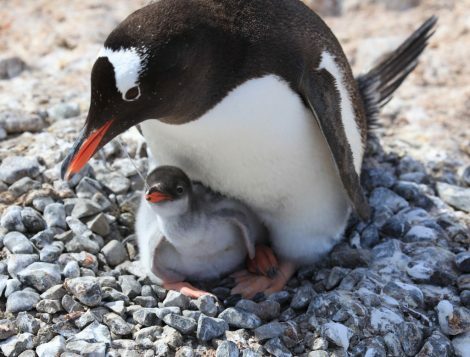 Gentoo penguins are close relatives of Adelie and Chinstrap penguin. They are also called long-tailed penguins. 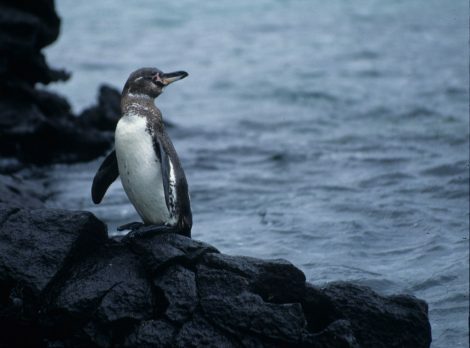 Galapagos penguin lives in the Galapagos Islands and stands tall to the height of 49 cm. Fiordland penguin grows approximately to the length of 60 cm and they are the habitat of New Zealand. 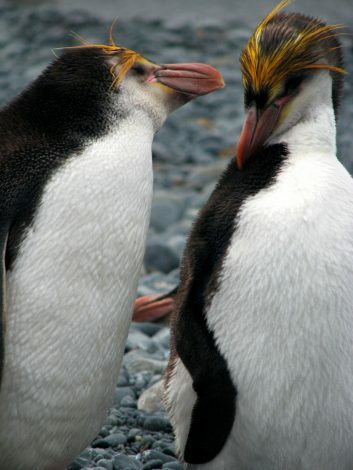 It is also called as Fiordland crested penguins. Royal penguin measures around 76 cm long and it is the habitat of Sub Antarctic Macquarie Islands and adjacent islands. Snares penguins are a medium-small penguin with the maximum size of 70 cm. They are widespread in New Zealand. 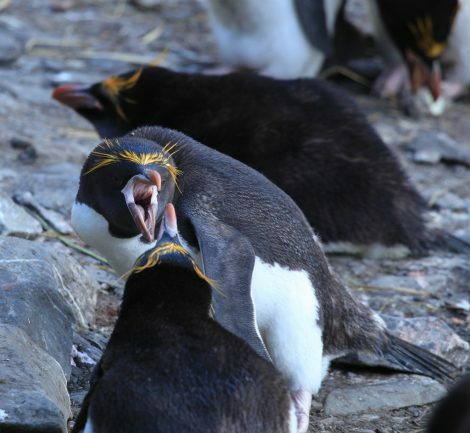 They are also called Snares Island penguins and Snares Crested penguins. Adelie penguins grow to the maximum height of 71 cm. They are found only in the Antarctic coast. 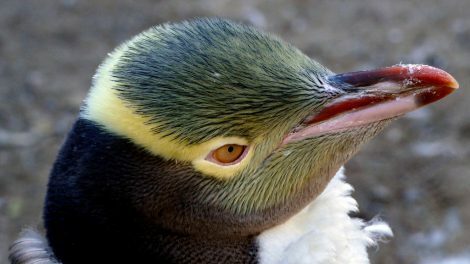 The white ring around the eyes makes them unique from other species of penguins. The little penguin is the smallest species of penguins measuring about 33 cm tall. It is commonly found in Australia and New Zealand. 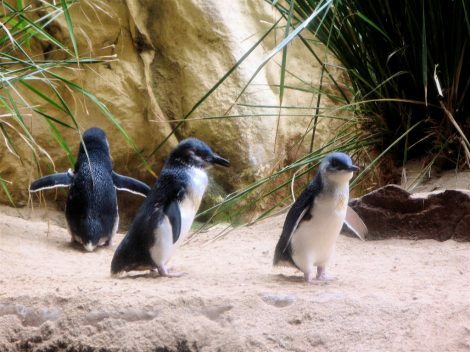 Little penguins also have other names like fairy penguins and blue penguins. 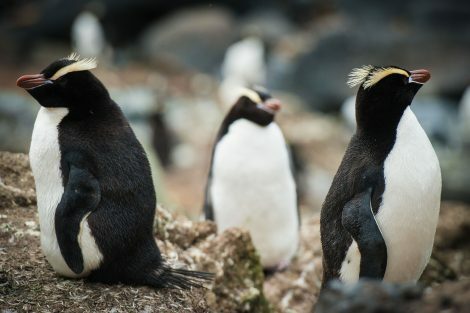 Rockhopper penguins are found most commonly in the Falkland Islands and New Islands. They grow up to 50 cm. 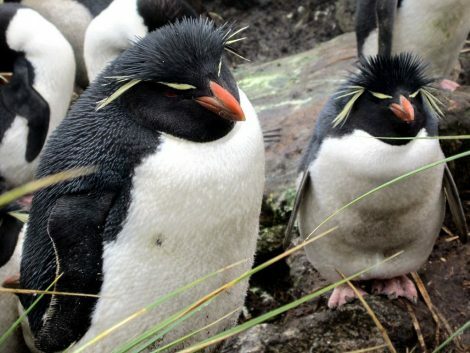 The subspecies of rockhopper penguin includes southern rockhopper, northern rockhopper, and eastern rockhopper penguin. Nearly all the species of rockhopper penguins measures about the same height. Magellanic penguin grows to the height of 76 cm. 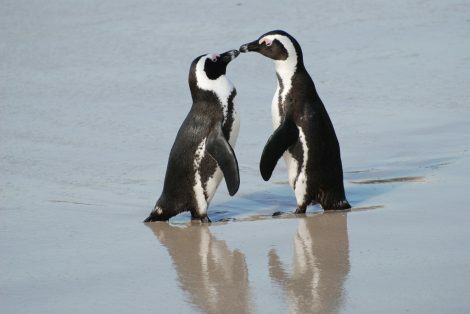 It is the habitat of South America and also called as a South American penguin. Chinstrap penguin grows to the height of 72 cm. It is found in the South Pacific and Antarctica Ocean. 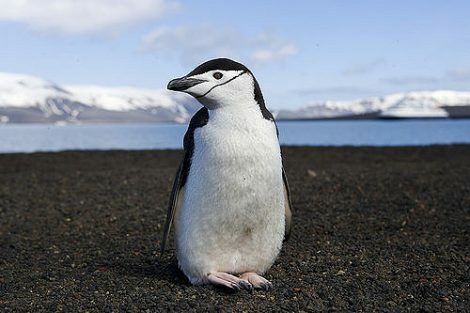 Chinstrap penguins are also called as ringed, bearded and stonecracker penguins. They have a unique black stripe from the head to below the bill and the black plumage over half of the head makes them stand out from other species. Erect- Crested penguin is endemic only to New Zealand. The adult erect-crested penguin measures about 70 cm tall. Yellow-Eyed penguins are the habitat of New Zealand. They are mid-sized penguins and grow tall to the height of 79 cm. However, the height and the weight of the penguins contribute to the waddling walk. The pendulum-like shape makes them walk swaying because of the tall heavy body and short legs. Though penguins are flightless birds with the heavy body they can swim at the speed of 22 mph. They are excellent swimmers when compared to other birds. Emperor penguins are the tallest of all living penguins and the little penguins are the smallest of all the penguin species. It is simply good to imagine the giant penguins swim along with the whales in the marine life. Despite the height of the penguins, their adorable tuxedo appearance and majestic wadding walk make them a matchless species in the world.